One to One: Whether you are preparing for an audition, working on a role you’re rehearsing, or just beginning to explore the world of acting, private coaching is a valuable way for you to learn about your instrument. Working together, we will find ways for you to access potential and power. Training Programs: If you’re applying for undergraduate BFA or graduate MFA programs, you must satisfy rigorous and diverse audition requirements. Together we’ll find monologues that work for you and work to prepare your auditions. I also coach singers, and my musical background as a trained pianist helps me to understand the demands placed on a sung audition. Have you wondered how actors do what they do? Have you wondered if you could be an actor? 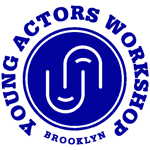 Through improvisation, theater games, monologue and scene study, students will become acquainted with the actors toolbox, learning how to play actions, create given circumstances and access creativity and power. This class is for curious, interested adults. Previous acting experience is not required. Take a journey through a Shakespeare play with an experienced guide who has directed or acted in 36 productions of the Bard’s plays. We’ll explore each play for six weeks. You’ll be able to play scenes, study characters and learn how and why Shakespeare wrote the way he did. Shakespeare’s characters are rich and vivid, and to access his full power his words must be spoken aloud! This class is for curious, interested adults with a passion for language. Previous acting experience is not required. It is a special joy to help an actor discover a path to a character, and expand their range and sense of what is possible. Practice makes perfect, and actors need a place to practice. My experience as director, actor, artistic director and producer gives me a range of perspectives into the acting process. I have no strict approach to acting technique. My mentors, Douglas Campbell, Morris Carnovsky and Richard Edelman among them, were pragmatic practitioners who knew there was no single approach to living truthfully onstage. It comes down to this: each playwright has their own sense of dramatic truth. The job of the actor is to discover how to use the words given them by the writer to allow that truth to emerge. A Shakespearean expert, Ezra Barnes founded Connecticut’s Shakespeare on the Sound, considered one of the premier outdoor classical theaters in the area, and served as its Artistic Director for 14 years, directing and playing in many of the Bard’s plays. He has directed for regional theaters and opera companies. Selected Off-Broadway performances include Breakfast With Mugabe (Signature Center; a critic’s pick of the New York Times and Best New Play nominee by the Off Broadway Alliance), Far And Wide (Mint Theatre), Richard II (Pearl Theatre), In White America (New Federal). Regional theater appearances include McCarter, Paper Mill, Hartford Stage and Cincinnati Playhouse. He has been featured on such television shows as The Sinner, The Blacklist, Blue Bloods, Law & Order, SVU, Bored to Death, and As the World Turns, and in the feature films Noah, Joshua, Landline, Unintended, and Once More With Feeling. A longtime Brooklyn resident, he has taught theater for young people at Saint Ann’s School, the Brooklyn Conservatory of Music, Poly Prep, the Harvey Milk School and Piper Theatre.